Every year for the Sydney Festival, I like to try one of the Fast Festival Feasts where you get a main course and a glass of wine for $25. This year, Wildfire, at the Overseas Passenger Terminal was the choice; where we had kingfish, with one scallop tortellini and romesco sauce. Great sauce, but sadly I think the fish had seen better days and was ready before our 6pm arrival. Nevermind, we moved onto dessert. A very interesting looking dessert menu, we decided upon the doughnut box, and the nougatine souffle, both $18. The donut box was in fact 6 mini donut holes, which come with 3 test tubes and pipettes of sauce – raspberry, white chocolate, and chocolate, which you squeeze and inject into the donuts! 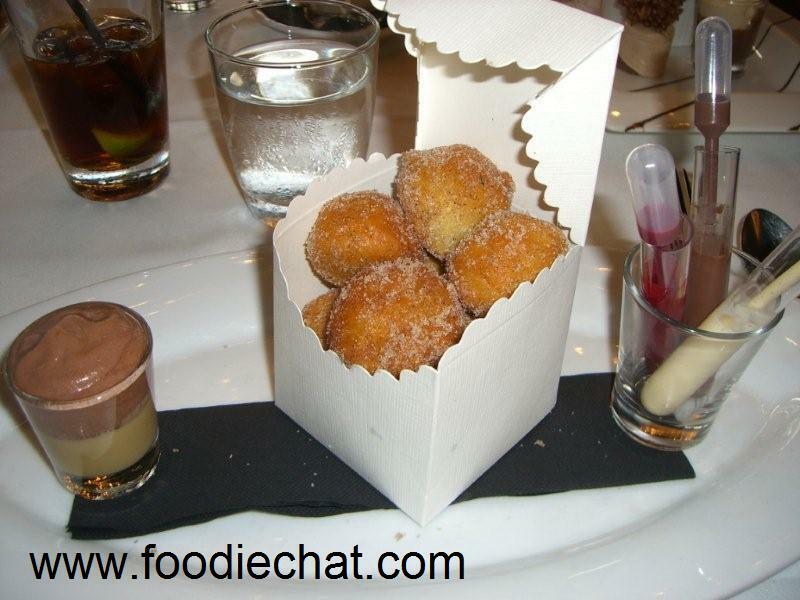 The donuts are covered in sugar and cinnamon and set in a pretty box with a shot glass of caramel and chocolate mousse. Not too sweet which was good. With the start of the new year there are whole host of food related programmes to drool over! Most anticipated for me is Top Chef New York (Season 5) – which looks extra fiesty, and with very good looking people; and American Iron Chef!! Both are on Foxtel – Fox8 and Lifestyle Food respectively. Sadly I have to park myself at someone else’s TV to catch the latter – but from the ads I can’t seem to work out if Jamie Oliver is the challenger or the Iron Chef! all will be revealed tonight at 8:30pm. As for Top Chef – last season was a very close call between molecular gastronomic perfectionist Richard Blaze (my personal favourite to win) and Stephanie – the refreshing person who’s actually nice to everyone and not a backstabber! 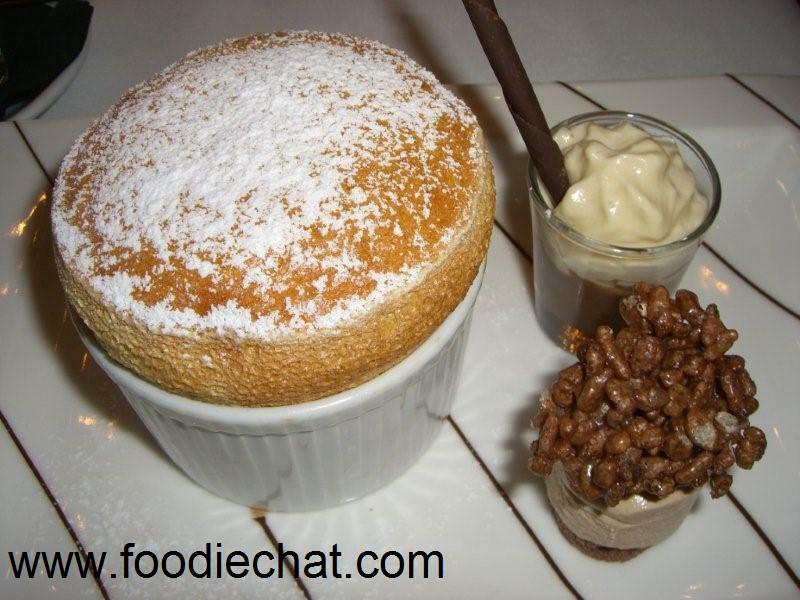 You are currently browsing the FoodieChat weblog archives for January, 2009.